Alexis Sanchez completed a brace in extra-time following an error from Reading keeper Adam Federici to send Arsenal into the final of the FA Cup increasing their chances of retaining the trophy. Arsenal were 37 places above Reading going into this game and, 90 years since Reading last competed in a FA Cup Semi-Final, the contest was tough for both parties as the last time the two played was 7-5 to Arsenal in the league cup. The atmosphere at Wembley was tremendous and the teams were looking to perform well for a place in the final. The game was underway and Reading kicked off. Reading had three throws within a minute when they started well against Arsenal. Ramsey got knocked in the face and was down for a good minute. Obita was the offender and Arsenal had a free kick from a Reading offside. Frederici was caused to come off his line when a mistake from Gunter helped the ball to Welbeck who missed on the pressure. Arsenal passed around from left to right, Sanchez had a shot and the gunners had a corner, Mertesacker headed the ball but it was saved for another corner, no luck retrieved for the Arsenal. Obita hit a stunning ball and Szczesny saved the shot. Özil took a free kick and he struck the ball just wide of the right post. Welbeck set up Cazorla but the Spaniard curled the ball over the top. Koscielny was down and took a shoulder into the nose from Jamie Mackie. Federici started off the game really well. Predigious play from both sides is why the game was still level on thirty five minutes. Just as the sides were going into half time drawing Alexis scored a well struck placement goal and Arsenal lead. Arsenal pressured Reading down the left and a corner was awarded and another corner was given and Reading took the the ball and pushed forward. Arsenal were chilled and as half time was lurking 1 minute was added on, late on McCleary caught Gibbs and took a yellow, it was then half time with Arsenal leading over the underdogs, Reading. The second half got underway and Reading started well when Arsenal were dispossessed. Arsenal had a free kick and Mertesacker flicked the ball and it toppled wide. There was a cross and Gibbs tried to defend a volley and Szczesny couldn't keep out the ball. McCleary scored. It was all level at one, one. Gabriel made his return to Arsenal in the FA cup, when he replaced Mertesacker and Koscielny was made the new captain. Two big shouts from a Debuchy hand ball, no penalties given. Mackie saw Williams and he missed. Giroud made his way onto the pitch to replace Welbeck and the attendance at Wembley was 84,085 people. Ramsey snuck his way through and he hit the post, with collective gasps from the fans in attendance. Gibbs set up Ramsey and it flew over the bar. The game was over at 1-1 and extra time was on the cards, who could do it? Extra time got underway, Santi Cazorla had a shot from 30 yards but it went aimlessly over. Coquelin made way for the pace master Theo Walcott. Ramsey took a blistering shot, Federici saved and the ball dipped over the top. Arsenal got another goal and Alexis got a second, Federici mis held the ball and it slipped through his legs and Arsenal were in the lead once again. To start the second half of extra-time, Mackie got through straight away but missed. Özil took a shot but it was poor and he missed. Yakubu made his way on for Pogrebenjak. Giroud was onside and Özil played it in well but Giroud hit the post. The Royals midfielder Williams took a shot that went wayward. Gibbs slid in well to tackle Yakubu. Arsenal were winning and the Royals couldn't do anything. Walcott was taken down by Williams and luckily for Reading it was outside but it won't matter, Arsenal were the winners. 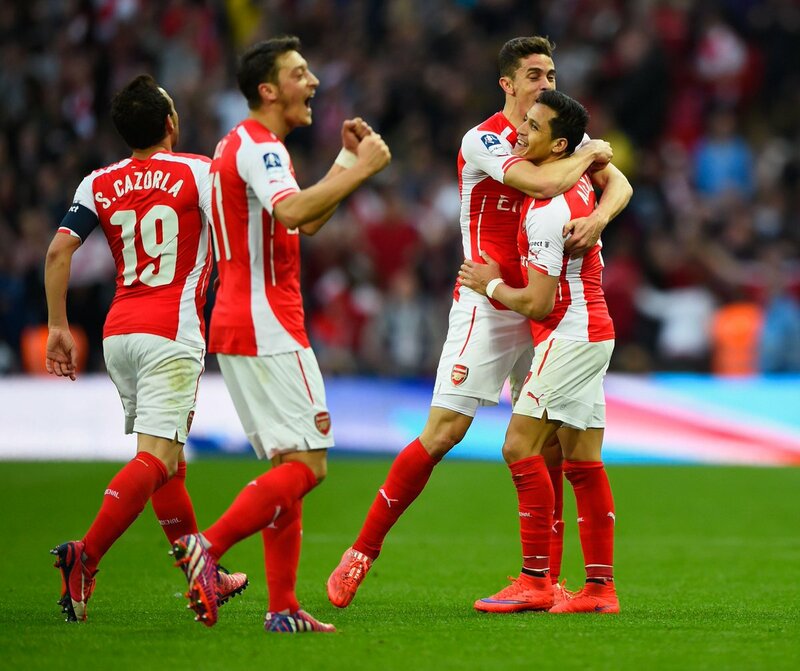 Another Final for Arsenal and what a way to do it as Alexis got two goals. Arsenal won as a scrappy goal shrunk helpless Reading. 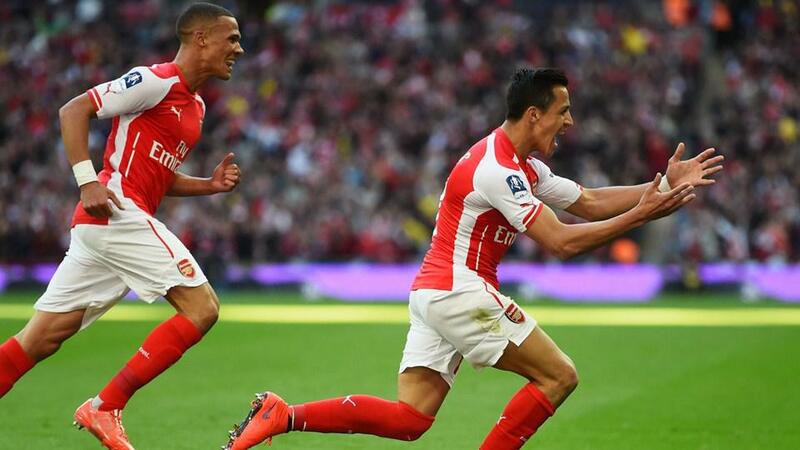 Alexis Sanchez's double sent Arsenal into the FA Cup final after topping Reading in extra-time.